“He doesn’t lie. He doesn’t say bad things. And when he knocks on my door, he usually has a new idea.” That would be David Ben-Gurion’s response when approached with skepticism from those who took issue with the young, seemingly inexperienced upstart on whom Israel’s first prime minister had come to rely. That young upstart was my father, Shimon Peres. It is no surprise that the skeptics failed to see in him what Ben-Gurion saw — an extremely rare quality that might be humanity’s most valuable resource and is certainly the key to transformational leadership: the ingenuity of a visionary driven by optimism and inspired by hope. 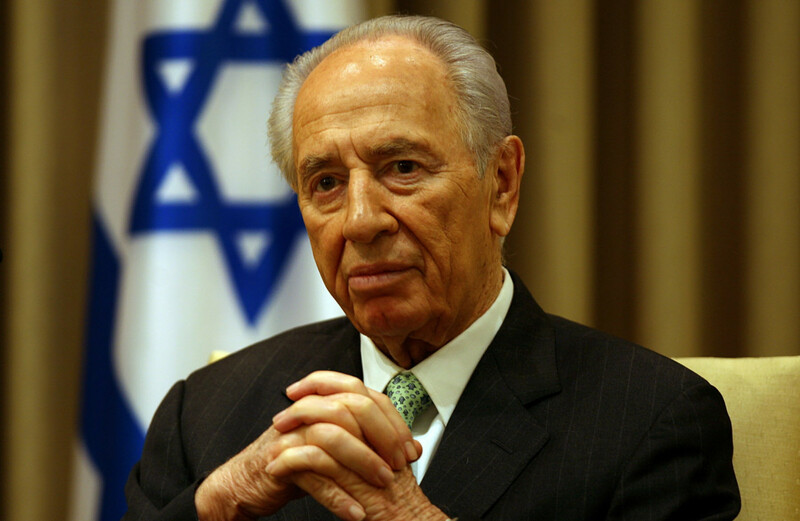 Today the name Shimon Peres encapsulates the legacy of a Nobel Peace Prize laureate, a statesman and an innovator. And indeed, my father always had the vision and charisma of a leader, but in his early years he was very content with the idea of working the land and being a shepherd as a young kibbutznik. While he was confident in his abilities and deeply motivated, he understood the weight of the responsibility placed on his shoulders when he was appointed by Ben-Gurion as the director general of Israel’s Ministry of Defense at the staggeringly young age of 29. This understanding of what leadership was to him, and of what kind of leader he wanted to be, altered not only my father’s life but also shaped the State of Israel, the region and in many cases changed the world. In the midst of the Suez campaign, my father began to act on this idea in a way that would change the strategic equation for Israel. Like Ben-Gurion, my father understood the profound, game-changing impact nuclear technology could provide a country almost completely lacking in energy resources. But the idea that the fledgling Jewish state — not yet a decade old, still under an arms embargo by much of the world, and struggling to feed its rapidly growing population — could initiate (let alone complete) a nuclear program was one of almost breathtaking chutzpah. This is exactly why my father knew he had to chase it down. At a villa in Sèvres, France, where Israeli, British and French officials had gathered to finalize planning for the campaign, my father, then 33 years old, approached the French foreign and defense ministers and made a proposal everyone “knew” would be rejected out of hand. To everyone’s surprise (including his) the French officials agreed: France would help Israel establish its own nuclear-energy program. What carried him through each successive trial… was an unflagging optimism and his belief in the cause he was serving. Looking back over the expanse of six decades might make it all sound easy. It was anything but. Obstacle after obstacle had to be overcome, including resistance from the majority of Israel’s leadership, the fall of the French government that promised the assistance, Soviet spying on the construction site and serious concerns on the part of the US government culminating in a tense sit-down between my father and President Kennedy. Nevertheless, through my father’s unique blend of optimism — a combination of creativity, innovative thinking and the courage to take responsibility — he continued tackling some of Israel’s most dire and pressing crises. As prime minister, he brought inflation down from 400 percent to 1.5 percent in a little more than a year. He built the foundations of Israel’s defense industry and worked tirelessly to kick-start Israel’s “startup nation” phenomenon, which 30 years ago was seen as an impossibility but today helps define Israel as a global leader. When he knew that Israel was secure, he worked to forge peace with countries that had been Israel’s declared enemies. Whether through his work as a statesman, or through strategic grass-roots initiatives, he worked tirelessly to build peace, prosperity and a better future for all. He did it all by dreaming big and working hard. My father strongly believed that “the hidden treasures within ourselves are far greater than anything found in the ground” and that we all have inside of us the power to innovate, cooperate and muster the willpower and determination that change requires. He believed that we are entering a new era, one of turbulence and uncertainty but more importantly one of profound progress and unrelenting innovation. He trusted that we all have within us a fearless leader marked by courage, ability and a relentless pursuit of peace and prosperity. He knew that it rests with us to uncover the optimism and hope to dream bigger and better and pursue those dreams until they become reality. It’s been a year since his passing and his voice is still clear and bright — a voice that calls everybody to discover the best of us, to create a better world, to dream and to serve a greater cause. If there is one lesson my father’s life of monumental achievement can teach us, let it be this.